Come learn about what is happening with the PTO and hear about Conscious Discipline from ISLA parent and certified instructor, Anne Hoff. Conscious Discipline is a proven,comprehensive approach that empowers you with skills that create a safe,connected, problem-solving environment for families. More details to come! This is your chance to get an ISLA t-shirt! If you have had a change in household income or family status and need assistance, families can submit an application for educational benefits anytime throughout the school year. Please see the link below for an application. ‍Does anyone in the ISLA community know how to play the oboe? Please contact Emily in the office if you have this talent. is opening registration today for ISLA families. Registrations for non-ISLA families will begin on Feb. 1. Don't wait! ISLA is trying to win Disney tickets for a Fiesta fundraiser. In order to do so, we need to show a commitment to volunteerism. Please consider following the link below and registering as an ISLA volunteer. At this time, there is NO FURTHER commitment beyond this. Thank you! 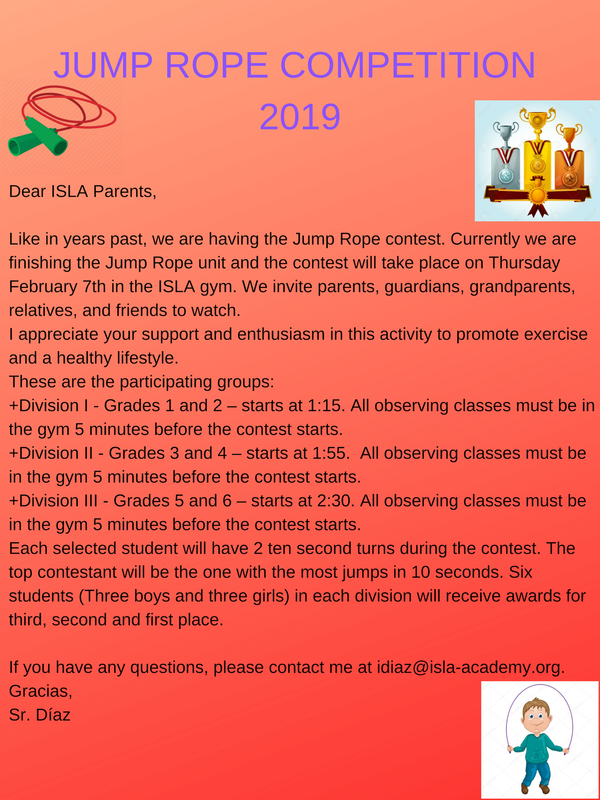 ISLA will be having its Talent Show on Tuesday, February 12.Students can register individually or as groups by January 31st. A group of eight 6th grade students and four teachers and staff will be the selection committee for the event. Selection will take place on Feb. 1st, 4th and 5th depending on grade level. An individual or group can present a video of their talent if it is too difficult to bring everything needed for the try out day. Looking for more easy ways to help support the great work that the PTO does for our kids and their school? Here are two great options. Please fill out the google form by March 15, contact Merrie Sjogren merriesjogren@gmail.comfor questions. Thank you FABULOUS ISLA parents,for your support! Show us your spirit for ISLA!